1 How is Personal Information Collected from the Visitors in Our App, Blog, and Website? 16 Do We Perform 3rd- Party Interactive Tracking? 19 What Happens In The Case Of A Breach of Data? How is Personal Information Collected from the Visitors in Our App, Blog, and Website? Even as we seek to improve your experience as you visit our website, app, or blog, we never gather any personal information. Whenever you register on this website or subscribe to any of our services, you are required to enter some of your personal information. Here is how a user’s information is collected on our website. • Create a personalized experience which allows us to design tailor-made product offering and content that may interest you. • No vulnerability or PCI standard scanning for the safety of our users. Cookies are tiny text files not exceeding 4KB created by websites and stored in the user’s computer temporarily or permanently. They offer a way for the website to recognize the user and track all your preferences. If you decide to shop from our site, the cookies remember the items purchased and process them in the shopping cart. Also, they help gather data about site interaction and traffic enabling us to offer a better experience to our esteemed site visitors in future. We might also use third-parties to help track our users’ information on our behalf. However, we do not intrude on anyone’s privacy. You can set your computer to warn anytime it detects a cookie. Alternatively, you can switch off the cookies by changing your browser settings. Follow the Help Menu on your browser to identify the best way to amend the cookies settings. What happens when you turn the cookies off? It disables some features that improve the efficiency and service delivery on our site. Nonetheless, one can place orders and browse our site. We protect our users’ private information from third-parties. We never share, trade, sell, or transfer any personally identifiable info outside and unauthorized parties. We may include third-parties, at our will, to offer services and products on our site. However, the third-parties have independent as well as privacy policies. Our team take no responsibility for the activities and contents linked to those sites. However, we always strive to protect our site’s integrity and we are free for any reaction regarding the third-party sites. The Google Advertising Principles gives a summary of Google advertising guidelines. The requirements help create an optimistic experience for the users. Users can opt out of the DART cookie by going to the Content Network privacy and Google Ad policy page. Alternatively, you can use the opt-out page from the Network Advertising Initiative page or the add-on browser on Google Analytics page. We, and our 3rd party sellers use first and 3rd-party cookies along with alternative third-party selected identifiers to collect data about our users’ interactions using ad impressions and related ad service elements as per their relation to this site. • It should include the “Privacy” which should be easily found as specified above. • In the case of any alterations on our policy, users may change personal details by sending an email. Our team respects the DNT signals or use ads with a DNT browser device available. Do We Perform 3rd- Party Interactive Tracking? No. It is not allowed. The COPPA offers guidelines when collecting personal data from children aged 13 and below. The laws give parents full control. The United States’ FTC clients’ protection agency is tasked with enforcing the COPPA regulations. It gives the guidelines online services and websites should carry out when protecting the safety and privacy of the children online. We offer no specific services and products to anyone aged 13 and below. These are the pillar of the US privacy laws which play a critical part in the information protection rules development. It is important to understand the laws and its implementation in compliance with the privacy rules that defend the collected personal information. What Happens In The Case Of A Breach of Data? We will issue a notice to the affected parties within seven working days via email. We honor the Individual Redress Code that encourages individuals to lawfully pursue the related rights against processors and data collectors who break the rules. Also, individuals can seek the intervention of courts and related agencies to probe and prosecute those who do not comply. The guidelines for dealing with commercial emails and establishing guidelines for commercial information in stated in this ACT. As our site visitors, the CAN-SPAM act gives you the freedom to stop receiving any emails from us and has hard-hitting penalties for any violations. Our site collects a visitor’s email address from our site, we use it to send information, answer any queries, requests, and concerns. Do you want to opt out of our future emails? 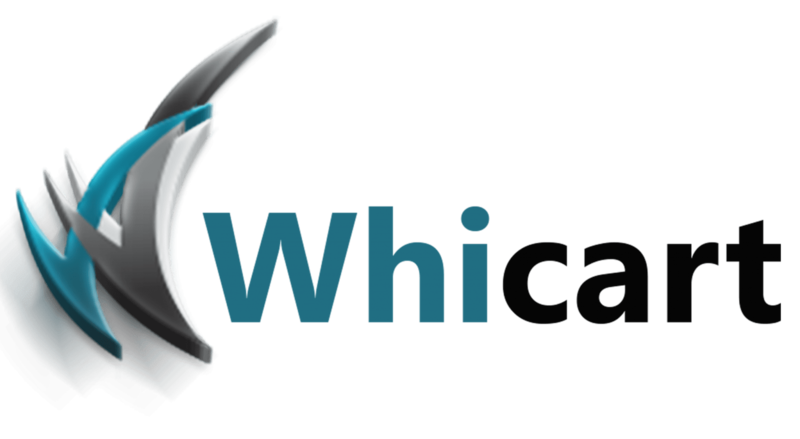 Go ahead and email us at whicart@gmail.com. Alternatively, you can see the instructions at the end of each received email. We will quickly stop sending you any emails.